Viknesh Vijayenthiran February 6, 2018 Comment Now! 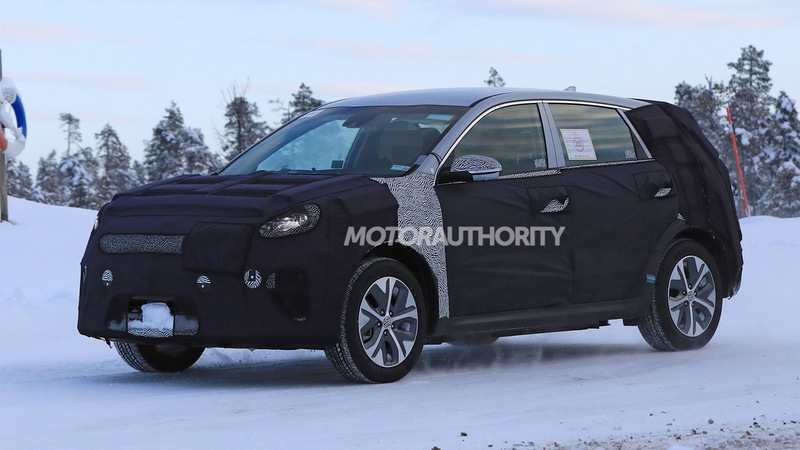 The Kia Niro compact crossover SUV is already available as a hybrid or plug-in hybrid. Soon, there will be an electric option too. 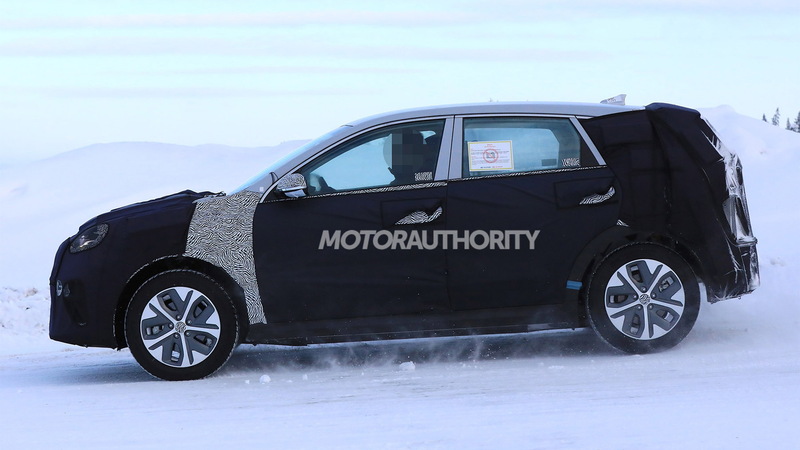 Kia previewed its electric Niro at last month's 2018 Consumer Electronics Show with the Niro EV concept. 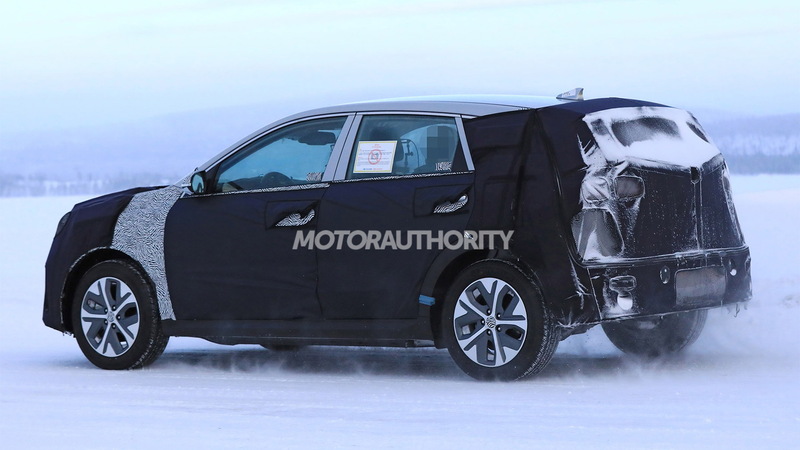 We now have our first spy shots of the production version that's due out later this year, as a 2019 model. 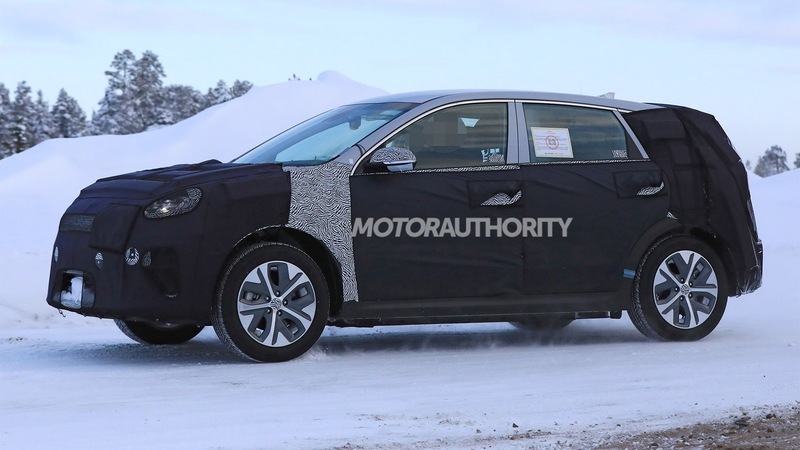 It will be one of five electric cars Kia will launch by 2025. Another will be a next-generation Soul EV. 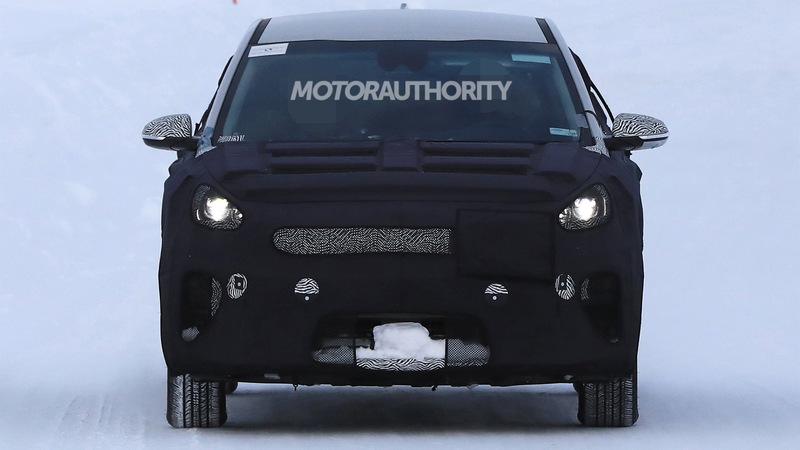 As for the Niro EV, in concept form the vehicle packed a 200-horsepower electric motor at the front axle and a 64-kilowatt-hour lithium-polymer battery good for 238 miles of range—the same figure as the Chevrolet Bolt EV. We expect the same setup to make its way into the production version. Also borrowed from the concept will be the more streamlined face, with the grille of the hybrid Niros getting replaced by a sealed-off unit for the electric model. We suspect the grille will also incorporate the car's charging port. One additional element that could transfer over from the concept is a pedestrian-warning system that uses outward-pointing speakers to make an audible warning notifying any pedestrians or cyclists of the vehicle's presence. Unfortunately, the production Niro EV will likely miss out on the sharper-looking lights fitted to the concept. The concept's minimalist-themed interior will also likely make way for the more mundane design used in the hybrid Niros. Kia hasn't mentioned pricing but expect the Niro EV to be competitive with the Bolt EV, which is priced from $37,495. Kia's Soul EV, which has just 111 miles of range, starts at $33,950.